There are many lodges. Why would I chose the Cuyabeno Lodge? hires all internal transportation and a variety of other services from the Siona Indians, thus sharing the tourism revenue benefits with the community. Why would I use a travel agency service if I can do it all myself? Nowadays, you can make all your travel arrangements yourself, but it takes time to find your information and organize it, particularly if you don't speak Spanish. When you are in the country, your time is limited and your individual travel in-country destinations have cost you much more than their mere costs alone. Your air ticket, your vacation time, etc. are all part of the cost of each destination module. If something goes wrong with the coordination of the local transportation you have arranged, you may miss out on an entire element of your trip. If a travel agent organizes your logistics and hotel, you have the peace of mind, that an organization takes care of your coordination and it doesn't costs you much extra, because the agency gets a commission on reservations. Neotropic Turis / Cuyabeno Lodge, finds your hotels and transportation to suit your specific needs, whether it is $25 or $125 per night hotel, we help you out. 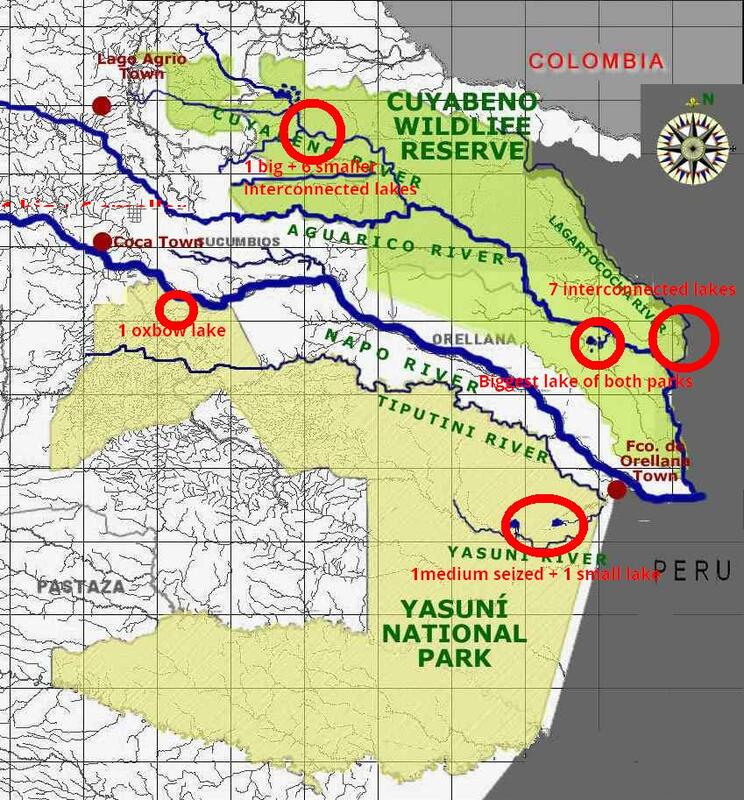 Is the Cuyabeno Lodge the same as the Cuyabeno River Lodge? NO! The Cuyabeno Lodge was built long before any other lodge in the reserve. 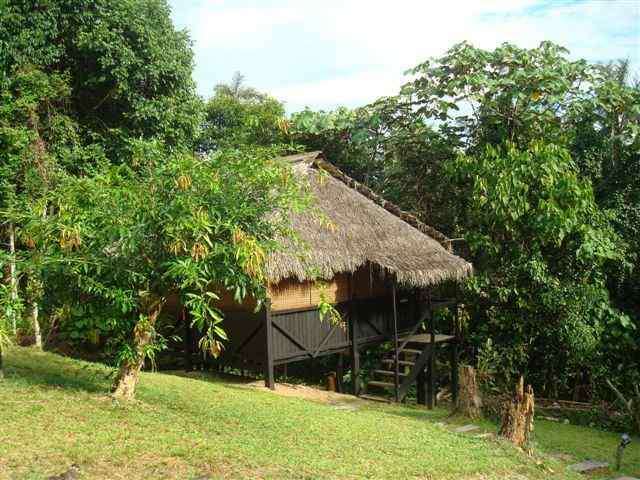 The Cuyabeno River Lodge is located near the park entrance, at about 2 hours traveling from the Cuyabeno Lakes. The Cuyabeno Lodge is built right on the Cuyabeno Lake shore on a hill overlooking the lake. 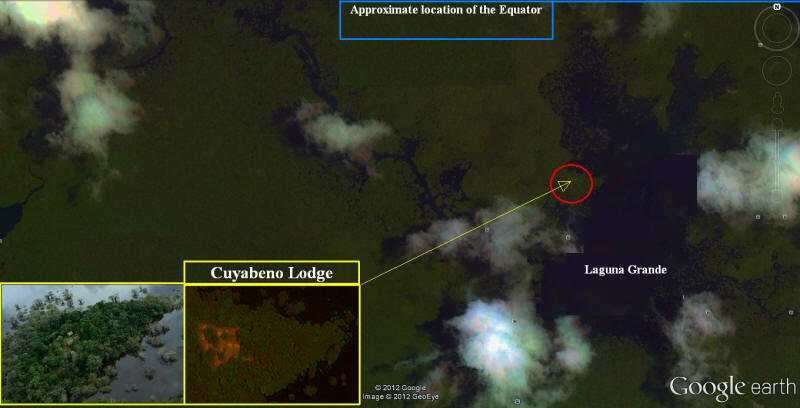 Moreover, the Cuyabeno Lodge is managed by conservation biologists who know what the Amazon is all about. Of course you have to make your own choice, but if you want to spend most of your time on the most scenic part of the reserve without having to shuttle back and forth all the time, the Cuyabeno Lodge is the place to be. Can we book on line? 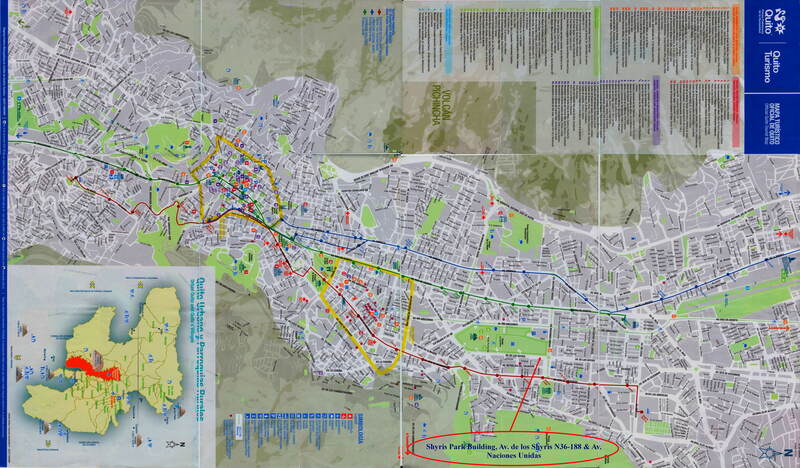 Our programs are rather customized and we try to accommodate your exact travel needs. To avoid misunderstandings, we don't offer an online credit card payment option. Just send an email to to make a reservation. For more details visit our reservations page. 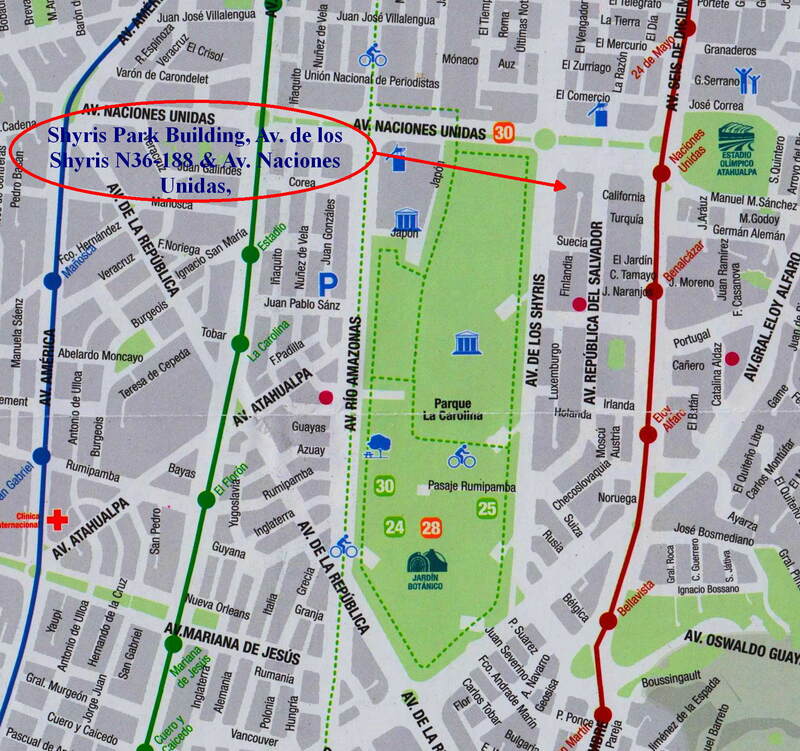 Prior to departure, visit our office in Quito at this location where you can proceed your payment. Am I allowed to fish in Cuyabeno? You definitely can. We even organize a fishing excursion as part of our regular program. Of course, Cuyabeno being a nature reserve, all fishing is catch and release. Only the Sionas are allowed to keep their catch for personal use. For very enthusiastic fishermen/women: as angling is a very serious sport, we do organize fishing expeditions with only fishermen/women on board. It is essential you bring your own fishing gear, as we have no serious fishing equipment in the lodge. The fishing rods we give to our regular clients are make of local wooden poles just like the Sionas use. And they do catch fish, but if you want to seriously fish paiche or bagre or some of the other species that grow well beyond 1 m, you'd better bring along your serious fishing gear! My eyes are good, why would I need binoculars? 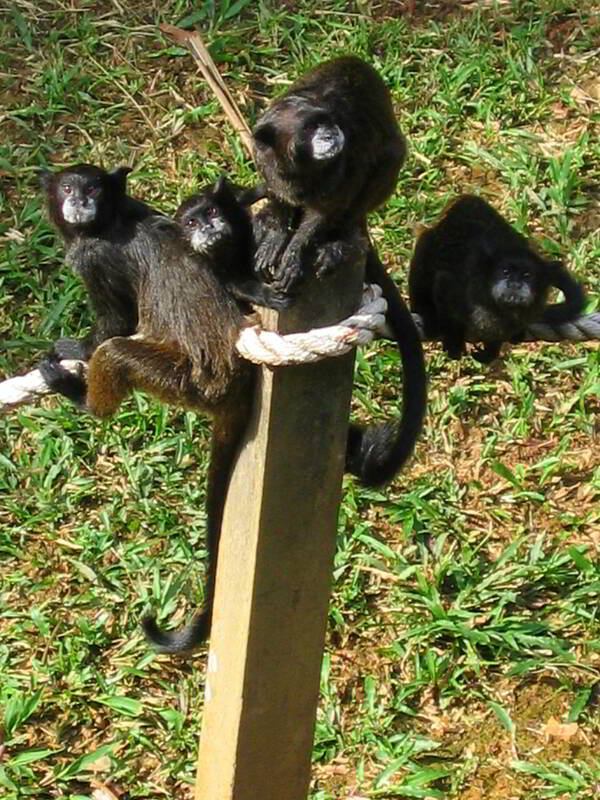 The Tropical rainforest is all about the small wildlife and birds that move about the trees. You can't even half appreciate your stay at Cuyabeno if you don't have a pair of binoculars around your neck all the time. 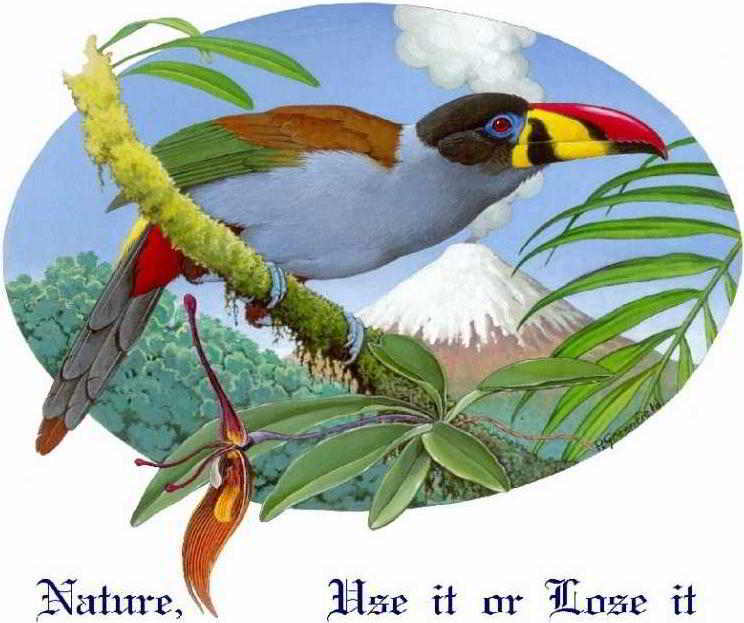 You cant see the beautiful colors of the orchids and the hummingbirds, you miss the baby monkey on the back of his mom, you just sit there while you friends are awestruck when a Kingvulture soars by. Well, you will share binox with a friend, you think. Great, so when s/he first spots a bird, you still sit there waiting anxiously until s/he is finished looking. And your friend does not feel relaxed, knowing that you are waiting to get a peak as well! Finally s/he turns over the binox to you. Ahhhh, what a pitty, the bird has just flown away. 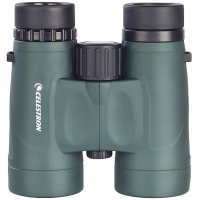 So do yourself and your friends a favor, rent a pair of binoculars and more than double your jungle experience. It really is worth the $15 (for the entire period) of the rental.